Specializing in custom made solid wooden entry doors. Round, arched and eyebrow top entry doors are designed to compliment all styles of architecture. Each door is individually designed and handmade from reclaimed solid wood that is milled and kiln dried on site. For over 2o years Taber & Company has been creating one of a kind solid wood entry doors for luxury homes through out the nation. With a passion for authentic design and the finest craftsmanship each door is a one of a kind design and handmade exclusively for each residence. Taber and Company’s custom made arched wood entry doors, designed to compliment all styles of architecture, using the highest quality woods available. A Mediterranean style entry door with a round top. Custom mesquite wood carriage style garage doors. arched wood entry doors wooden entry doorsCustom made arched, rounded and radius top doors made exclusively for each home. Specializing in authentic arched wood entry doors,utopian, Mediterranean, Spanish, Craftsman, Southwestern and Traditional style. 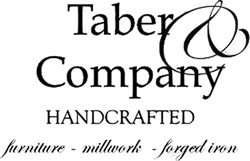 Visit taber & company's profile on Pinterest.